I have a really lovely Shaker Mother's Day card to share with you today using lots of great Stampin' Up products. It's that time of year when all Mother's deserve a hand made card. I made this shaker card out of Blushing Bride and Crumb Cake card stock and a piece of the lovely It's My Party Dsp on top. 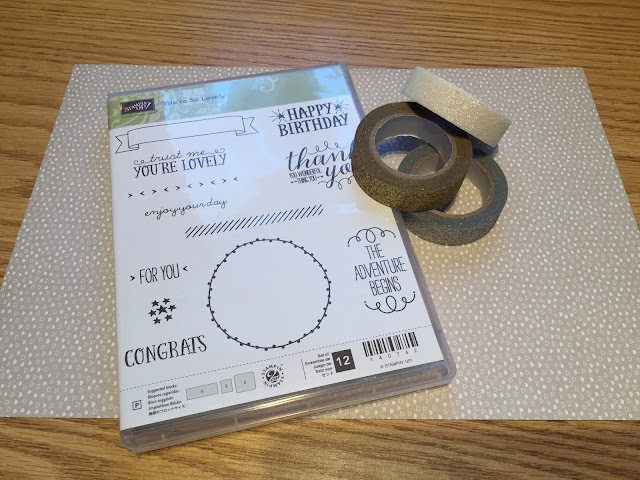 I make the shaker element using the Circles Collection Framelits and a piece of Window Sheets, I cut out the circles and between the layers put some Stampin' Glitter so when you hold it the Glitter moves and you get a 3d effect, and movement within the card. It was a bit fiddly but I think the result was well worth it, and I think my mum's going to love it. I stamped on top of the window sheet a lovely sentiment in Basic Black from the Garden in Bloom stamp set with I think is very appropriate for Mother's Day. I finally added some of the FREE Matallics Glitter Tape (it comes in three colours and they are super cute) under the shaker circle and some cute little Butterflies using the Bitty Butterfly punch and some Dazzling Diamond Glitter Paper. I think every Mother should feel special at least one day of the year !! This card is defiantly special. If you like my project please leave me a comment I love to hear what you think of my cards. All the items are available through my online store and you can click the catalogues on the side bar to visit my online store and take a look. Please feel free to contact me if you would like me to help with anything my number is 07949242830 and I'd be more than happy to help. If you like my project and would like to place an online order please click here www2.stampinup.com/ECWeb/default.aspx&dbwsdemoid=5012366 please use my hostess code GNGA9VMC before you get to the check out if you spend between £20 - £149.99, after that all the hostess reward will automatically get added to your online order and you get to spend them. I share all the hostess reward collected during the month with everyone that has ordered that month. I will send you out a gift straight from me along with a hand made thank you card, at the end of the month. Please tick the I would like contact section, as it means I can access your address details when sending out the gifts. Stampin' Up! will not contact you only I have your details. Have a great week and pop back soon.